High Bay Warehousing systems from Australian company Industrial Conveying Australia are helping warehouse managers and logistics suppliers to overcome the rising cost of floor space. To maintain cost efficiency, operators in these areas of industry have always been aware that better utilisation of vertical space was a necessity, yet the important factor expediting the handling process was key to this becoming reality. 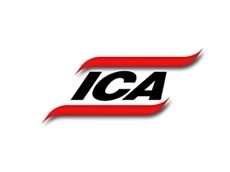 Managing Director of ICA, Mr Don Erskine, says forklifts had been doing a reasonable job for a long time, but as costs of premises have risen sharply and consistently in recent years, an updated technology had to step in to provide the ‘cost-efficiency factor’. “In very basic terms, ours is a system based on high rise stacker cranes that provides a super fast and accurate materials handling system from the ground level to the uppermost altitudes in the warehouse,” said Mr Erskine. “It suits general transport logistics services, the food and beverage processing industry, snack foods warehousing, general industrial warehouses and retail warehousing operations. “This is like having ground-level efficiencies on each storey for handling large quantities of goods but without paying the equivalent in floor space. 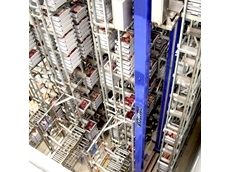 “Forklifts can only reach so high and with limited quantities at a time, so this has hindered their ability to fast track upper-level stock movement.Australian company, ICA has developed High Bay Warehousing System using its ASRS (automated stacking retrieval system) technology, to cost-effectively replace forklifts in certain types of high-rise warehouse applications. Stacker cranes, in conjunction with High Bay Warehousing, eliminates the cost of running a forklift fleet for such applications, and increases the occupational health and safety levels in warehouses by almost eliminating human interaction with this moving equipment. Stacker crane technology can reach much higher than the tynes of forklifts, and will operate across a wide temperature and environment band to facilitate all types of industries, conditions and atmospheric variations. Warehouses running on stacker cranes are not signalling the death knell for forklifts, but they do have a much better suitability in premises handling constant types of pallets and loads. Stacker crane technology is configured to be cost-effective, regardless of how high or how low an altitude it is handling, the technology is scalable and cost efficient regardless. ASRS suits general transport logistics services, the food and beverage processing industry, snack foods warehousing, general industrial warehouses and retail warehousing operations. 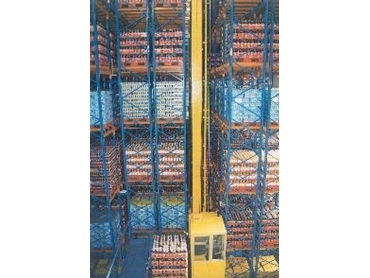 In high-rise warehouses, RF guided ASRS stacker crane systems are the effective way to store pallets because they can achieve far more efficient aisle movement, lift- and lower-times, and placement and retrieval than the human operated forklift. Stacker units achieve their high efficiency and rates of accuracy through automated control systems that accurately and rapidly position them on their X and Y axes. 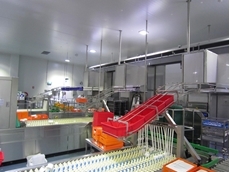 The technology can be used in atmospheric conditions, where heat and/or humidity are required in the warehousing environment, all the way down the other end of the temperature scale, where frozen products are being stored at -30°C. The ASRS integrates easily with ICA's ever expanding suite of pallet dock loading and dispatch technologies, which can be entirely automated or made to work in synchronicity with dock loading forklifts. ICA personnel have installed many ASRS cranes to existing low-altitude buildings, and to new purpose built warehouse. Retrofits can be made to a site of any age, shape or roof height. 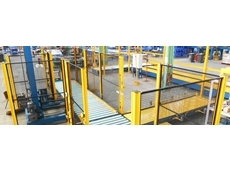 For users, ASRS gains efficiency of space, order picking accuracy and speed, and a high level of OH&S around its use, because it eliminates forklifts in the warehouse and related labour issues and potential driver error.